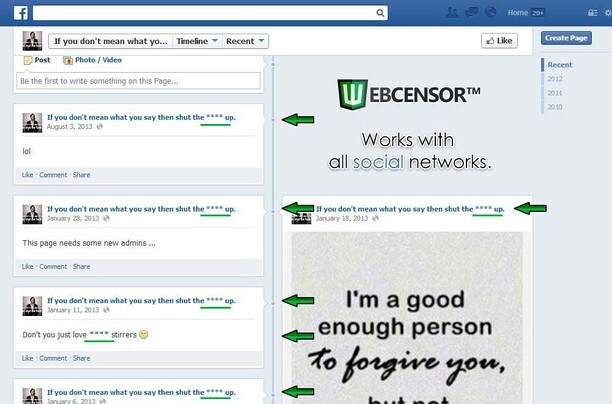 WebCensor™ is profanity filter for browser. 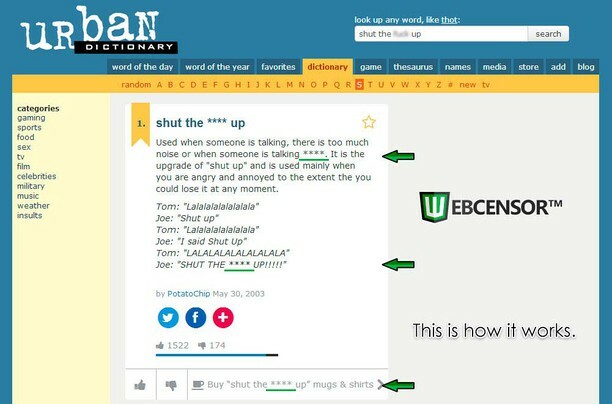 In addition, you can use it as content filter, as it uses not only the predefined list of bad, curse, cuss, offensive, swear words but also the ability to add your own custom filters which people will find very useful. It was created to bring the joy from surfing the web without offensive content cluttering your screen. 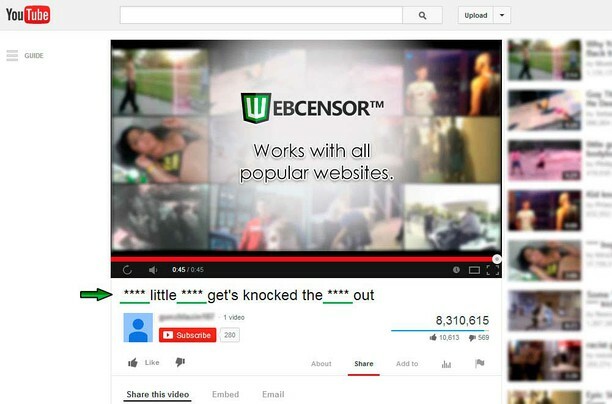 Simply install the plugin and WebCensor™ will remove all profanity content for you! Especially this will be useful for parents who want to protect their kids from seeing all that dirty language on the Internet.